For those who have as much a passion for style as for their music, V-Moda is the name for them. Combining award winning design with high efficiency audio systems at affordable ranges, V-Moda ensures it has a product for every ear. Having seamlessly woven an ultimate music experience with high end fashion, V-moda delivers some of the best in-ear headphones in the industry today. Aimed at recreating the music experience available ar bars and clubs, V-Moda Bass Frequency headphones are a delight for those with an ear for thump. With the superior bass blending impeccably with the warm mids and crisp highs, the overall sound quality available to the user, is top-notch. BLISS (Bass-Level-Isolating Soft Silicon) technology isolates sound to the fullest, providing sonic solitude to all audiophiles. Add to boot the three pairs of silicon buds available for maximum flexibility of use, and the V-Moda Bass Frequency headphones become one of the best midrange noise-cancelling headphones in the market. Available in eight quirky colours, coupled with a metal finish, V-Moda ensures there’s one product for every personality. Smart, edgy and affordable, the headphones are a decent gamble for all music enthusiasts, especially bass lovers on a budget! Superior Bass that gives rich lows. V-MASQUE drivers with neodymium rare earth drivers. 3.5mm gold plated straight plug. V-Moda Bass frequency headphones aim to gel high-end fashion attitude with its sound quality. They come in eight quirky colors: black, blue, green, orange, pink, red, and white, that caters to different personalities and outfits. The colorful chord imitates junk jewellery, with the cable wire being of perfect length. 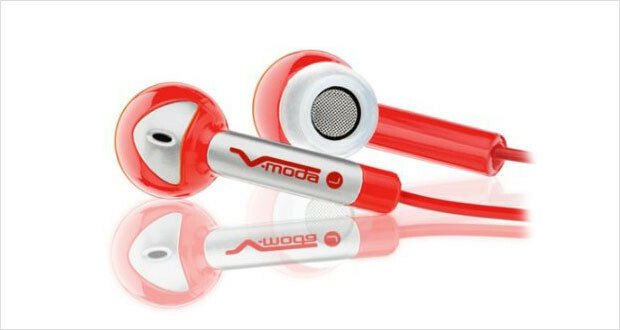 Dimensions1 x 4 x 7.5"
The V Moda’s Modawrap keeps the ultra-thin wires tangles free. Build is fragile and durability is a cause for concern with many users. 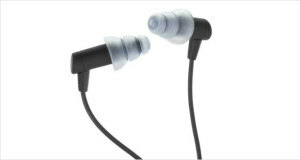 The ultra-soft, light-weight silicon earbuds allow flexibility in fitting while providing due comfort to the ears. Highs are reasonable crisp; with the right fit, the treble is quite audible, clear and detailed. Mid range is sufficiently warm and not muddy. The bass is vibrant; specially suited for elecro or hiphop. The BLISS (Bass-Level-Isolating Soft Silicon) technology that the V-Moda Bass Frequency headphones come with ensures that ambient noise is blocked out completely. They are great for running or exercising but caution is advised when outdoors while wearing them. One might expect the heavy bass to overpower the mids and lows. However, they blend effortlessly to give good quality music across the spectrum. With the correct pair of earbuds to provide maximum noise cancellation, the music produced is clear, rich, warm and detailed. Overall performance is appreciable. Undistorted lows, mids and highs even at high volumes. Straight plug leads to faster degradation of the product due to enhanced pressure at the joints. Style meets substance in V-Moda’s headphones. The V-Moda Bass Frequency headphones deliver what they promise: vibrant bass with uncompromised mids and allows. Even at high volumes, the clarity of the treble and the midrange is not lost; muddiness is absent across almost the full frequency range. Comfortable, with the three pairs of silicon buds allowing flexibility of use, the headphones make the music experience relaxing. However, build quality is fragile, with durability being a cause for concern. For a midrange headphone that provides an audio experience like the V-Moda Bass Frequency headphone does, though it’s worth a buy.